A Kotobukiya Japanese import! Kotobukiya’s series of Marvel Comics ARTFX+ Statues continues with the latest mutant hero in the Marvel Now lineup that has been taking the world by storm. In 2012 the comic book company relaunched several titles, shifting some characters into different books and updating some for a modern audience. 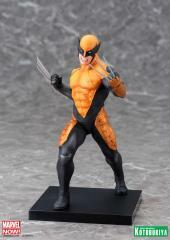 More than anything, it provided a perfect jumping on point for new readers. 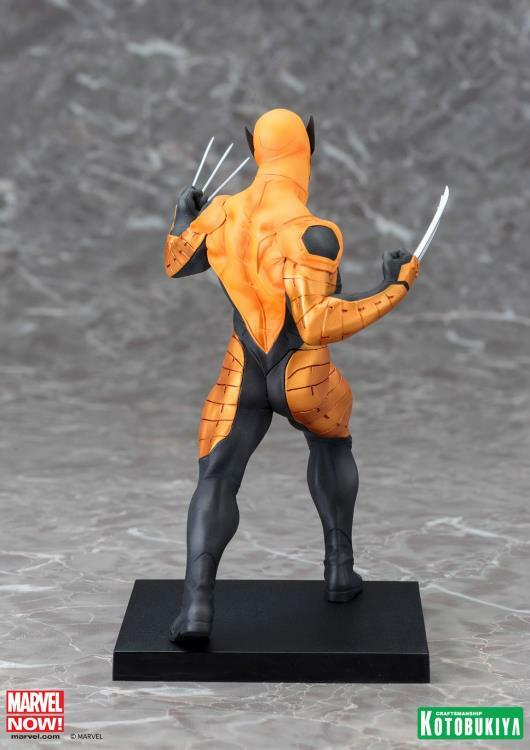 Now the characters are brought to life as never before based on concept artwork by superstar artist Adi Granov, who was also responsible for the preceding Avengers series. Completing the X-Men lineup and joining previously released Cyclops, Emma Frost, Magneto, Magik, Beast, and Rogue is fan favorite WOLVERINE! 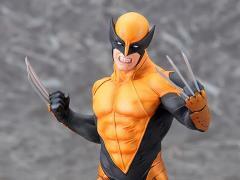 This is the ARTFX+ debut of Wolverine's unique Marvel Now outfit consisting of a tough, combat-ready uniform. 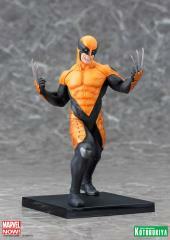 It’s a full bodysuit revealing only the lower part of his face, though of course his claws protrude through it as well. Wolverine is captured in mid-lunge, stepping forward with his right leg as he jabs his left hand for a lethal strike. 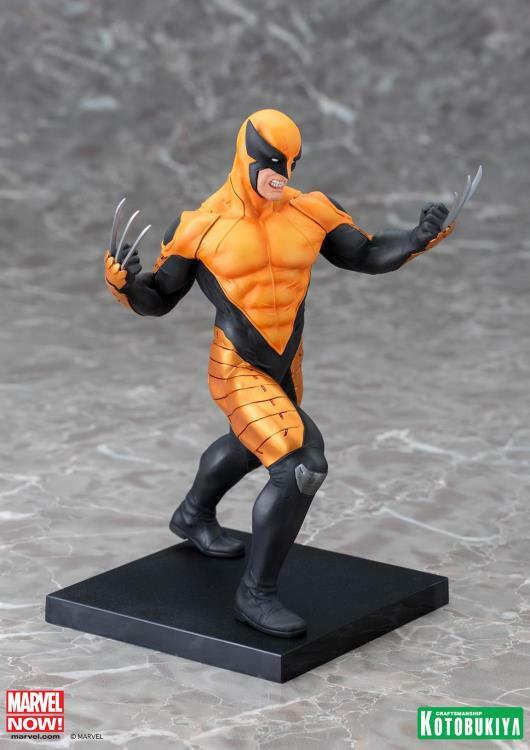 The stark black and yellow armor sections of his costume make a cool “X” out of negative space, and it includes his trademark pointed cowl. Logan’s face is contorted into a fierce snarl as he attacks his enemies, and he looks super cool with his eyes covered by the pure white lenses of his costume. 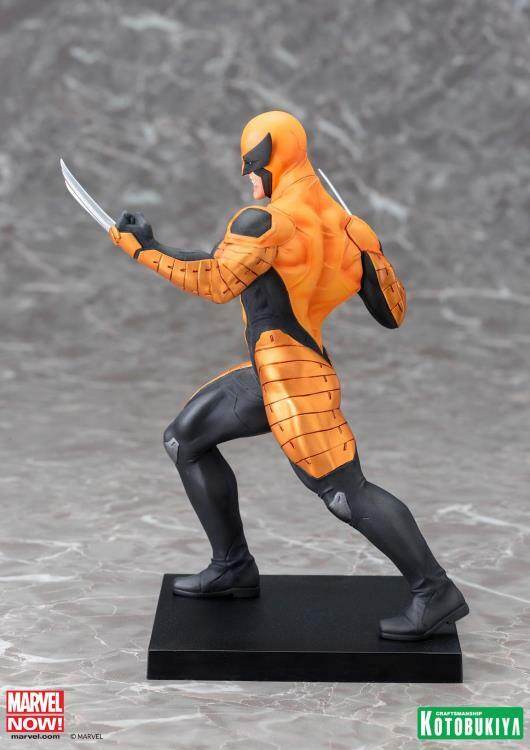 Sculpted by the same master artist who did the Marvel Now! 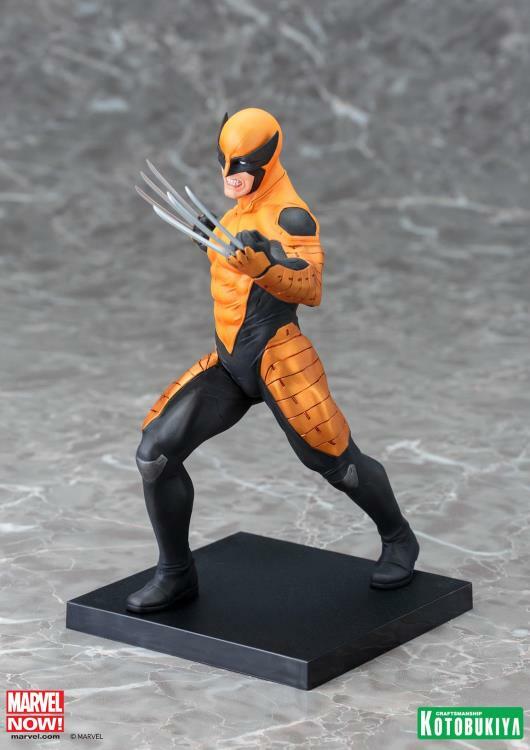 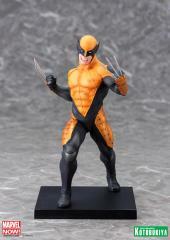 Avengers series, Junnosuke Abe, the diminutive Wolverine stands under 7 ½ inches tall (in the ARTFX+ 1/10th scale) with magnets in his feet to provide perfect stability on his included display base. This mainstay of the X-books and popular mutant hero is a great solo statue and of course completes your epic Marvel Now X-Men collection from Kotobukiya!